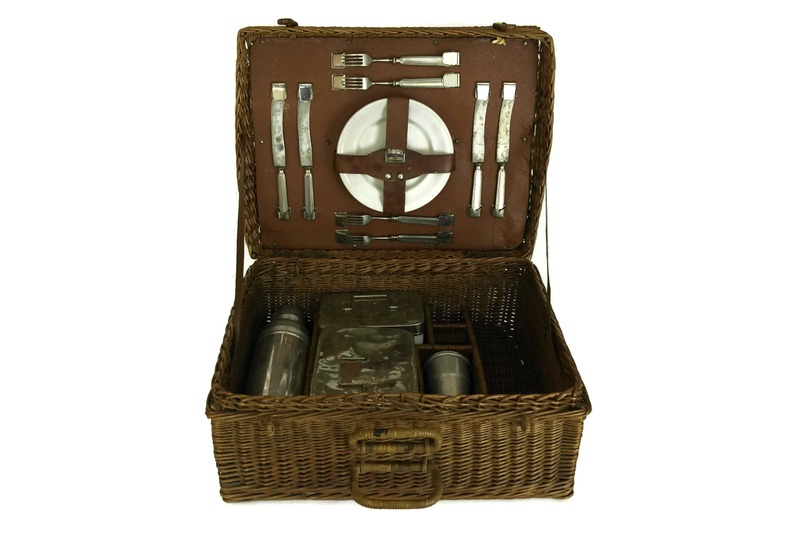 Antique French Picnic Basket Hamper with Enamel Plates, Knifes and Forks and Food Storage Boxes. 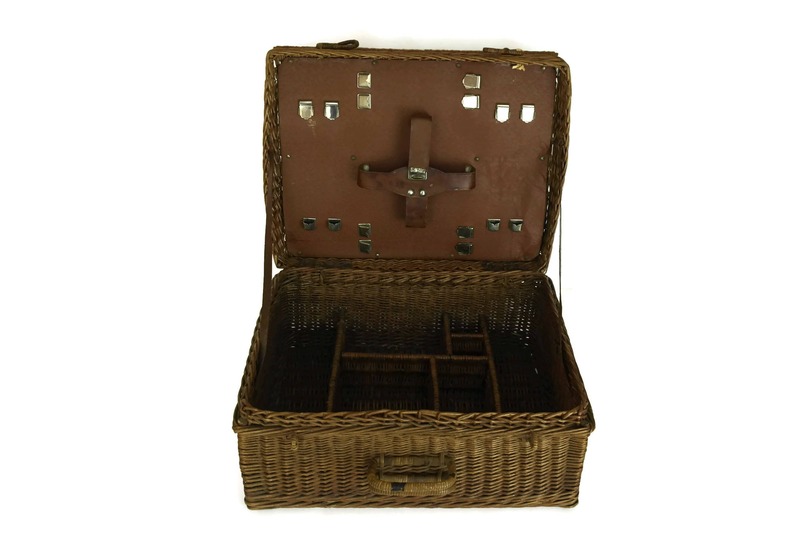 Rustic Basket with Lid. 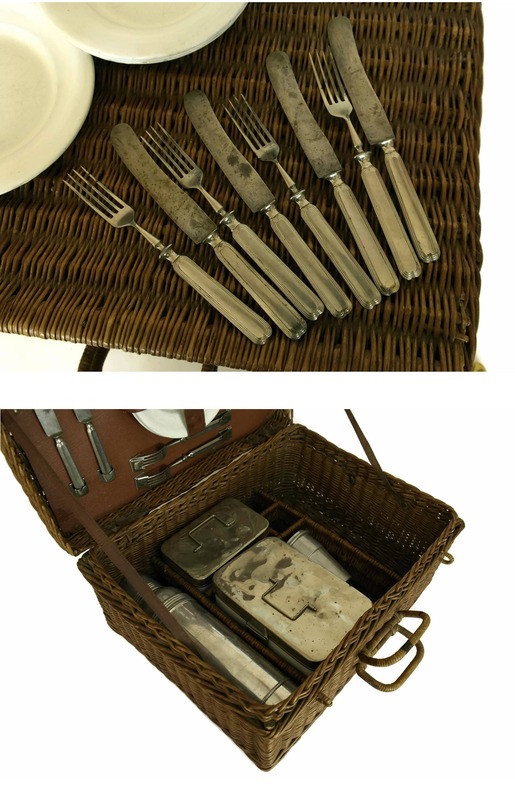 Country Decor. 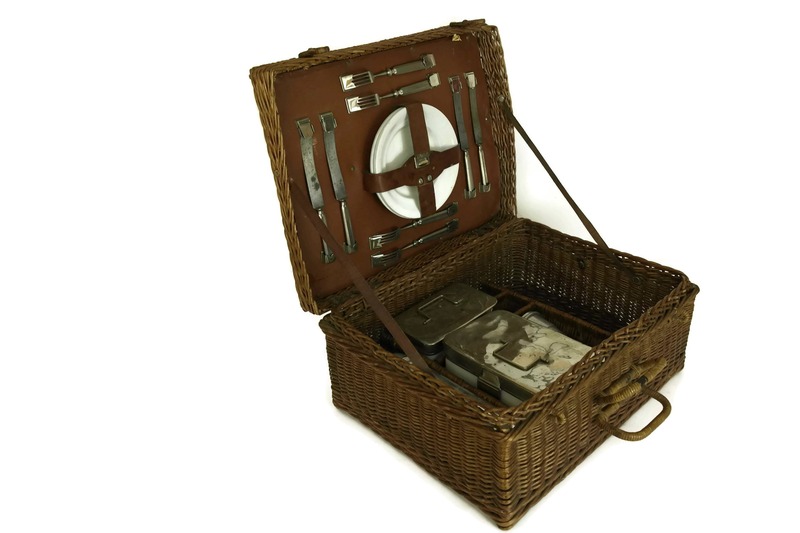 A gorgeous antique French picnic basket from the early 1900s. 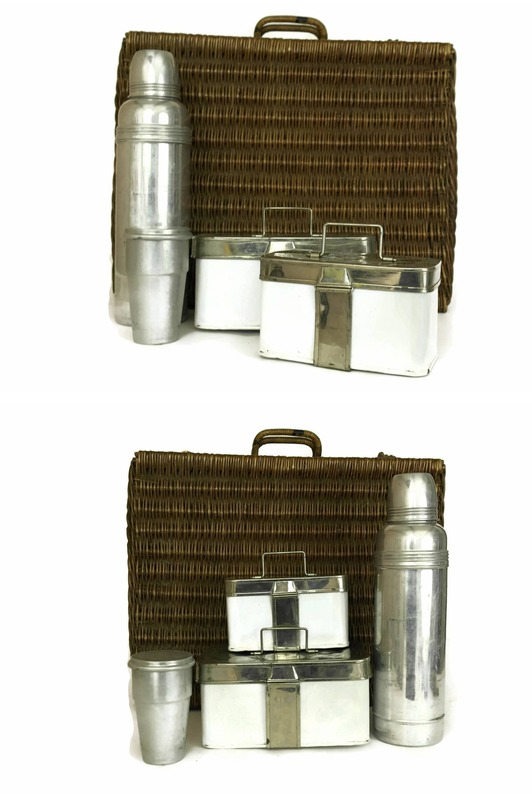 The large hamper has an original assortment of enamel luncheon plates, 4 knife and fork sets; 2 enamel food storage boxes with metal lids; a set of 6 aluminium drinking cups in a holder and a large thermos flask. 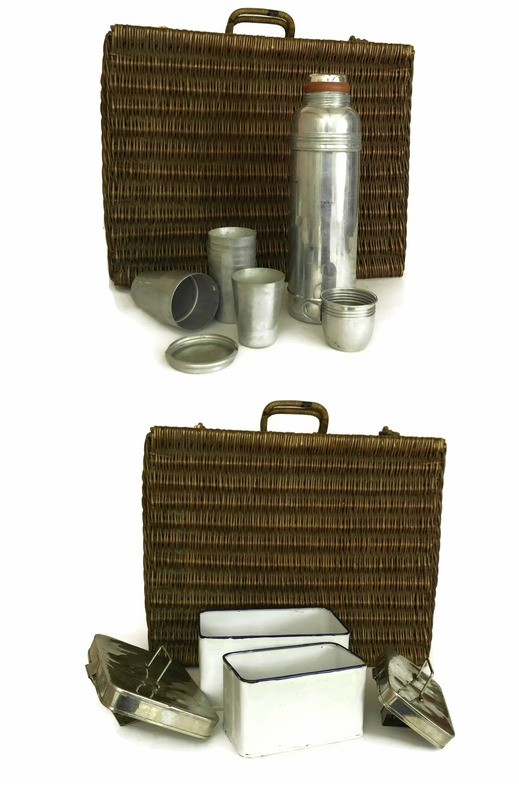 The basket has a hinged lid with leather straps and internal sections to organize and store the contents. 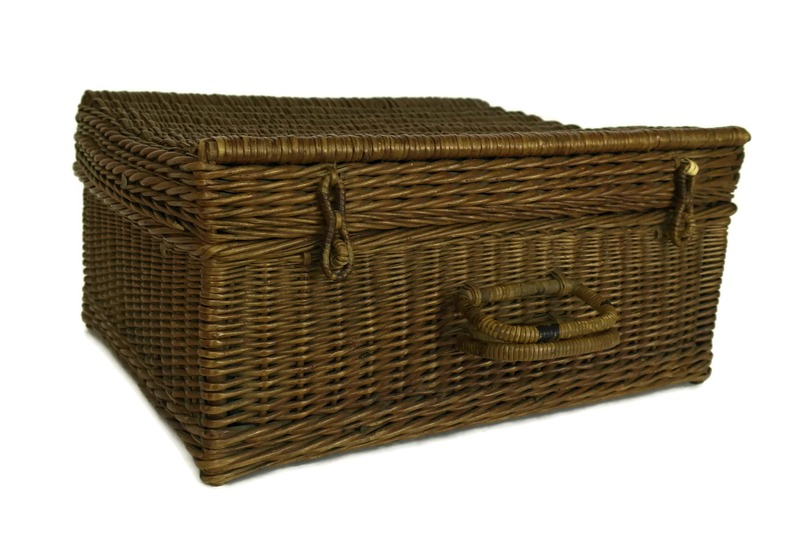 The basket measures 19" Long x 15" Tall x 9" Wide (48 cm x 38 cm x 23 cm). 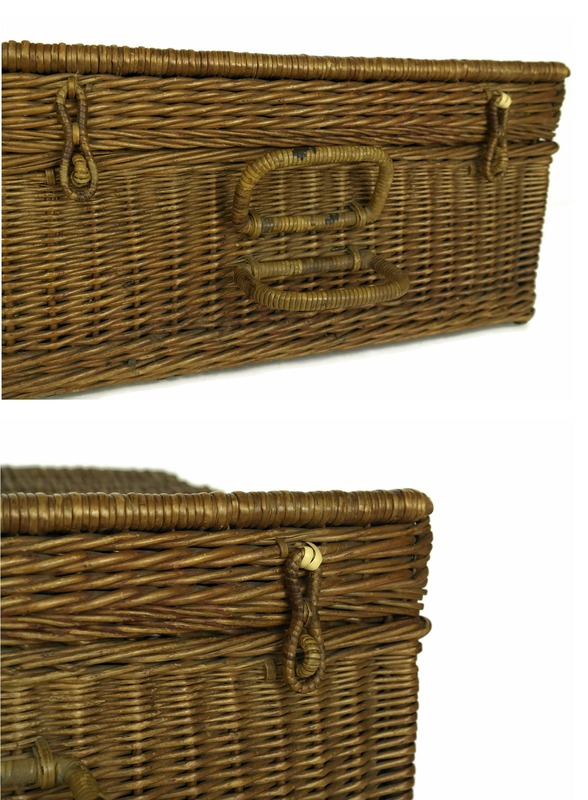 The antique wicker basket is in good condition with some signs of age and wear including patina and a couple of small breaks to the wicker in places. 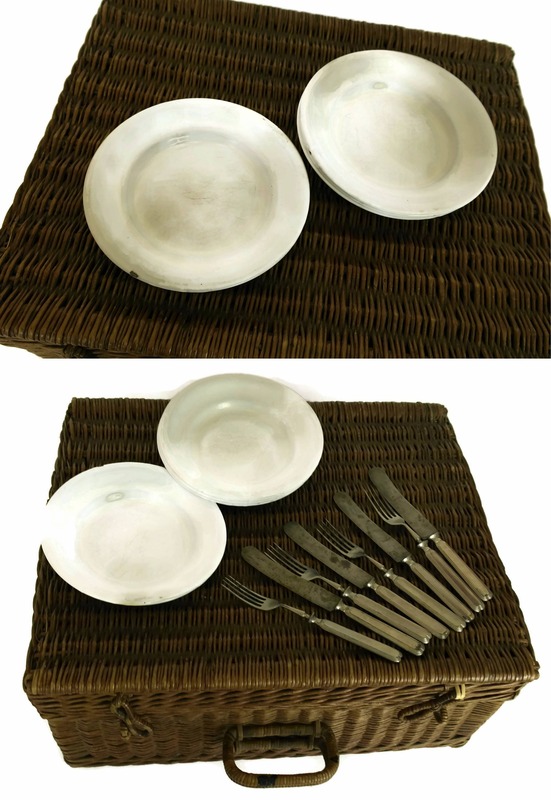 The plates and cups have light surface marks and signs of age. 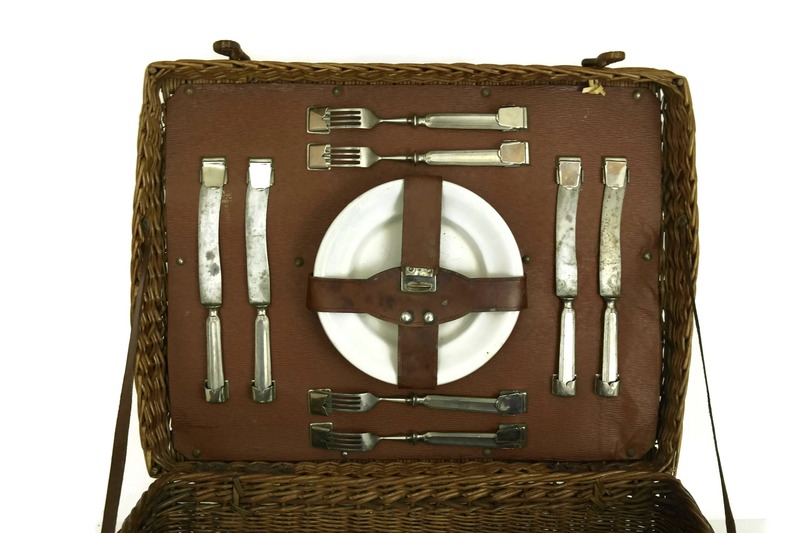 The knives and forks have surface marks and an aged patina. The flask has surface wear and has lost its original internal cork stopper.